I'm in love this $20 blanket. It's been out at Ikea for a few months now, but I finally picked one up and let me tell you, it's a must have. Unfortunately it seems like anytime I love something at Ikea they discontinue it pretty quickly, so I suggest you get yourself one & sooner than later. 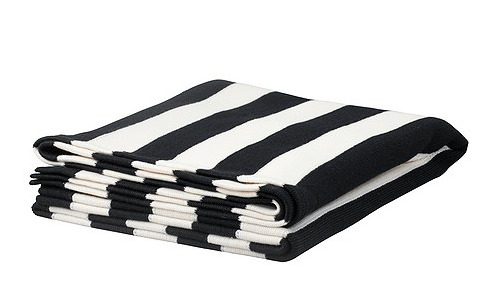 The thick B&W stripe is modern & classic, and it's like, a real knit throw. 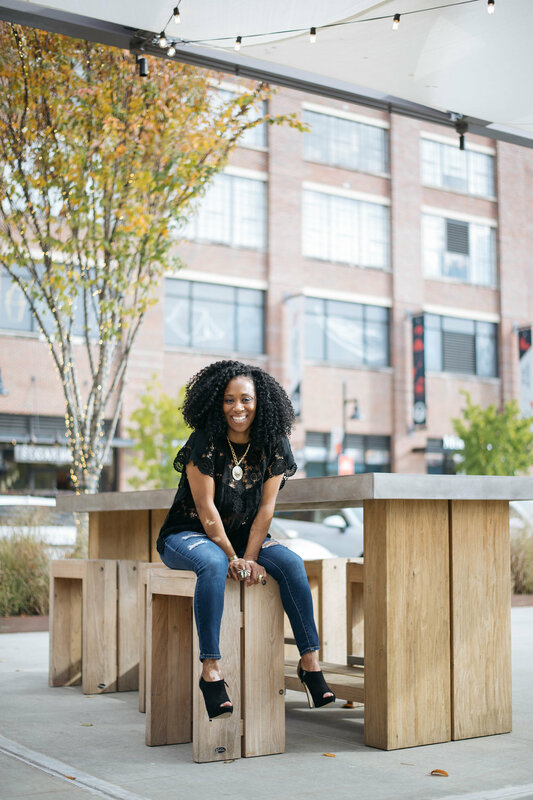 Not quite a chunky knit, but still, it's knit, it's soft..and did I mention it's only $20?? It also looks much higher end than what you'd expect from Ikea (with regard to textiles) and is great for styling and actual functional purposes! I'm using mine as a throw for a chair in my living room & it's perfect. This is one of those things I'd actually buy a duplicate of so I can be covered if/when the original gets dirty, torn, etc. Would also look super cute as a baby blanket (or in a nursery!) and could possibly even be made into a pillow...options are endless. Needless to say, it's my current fave.